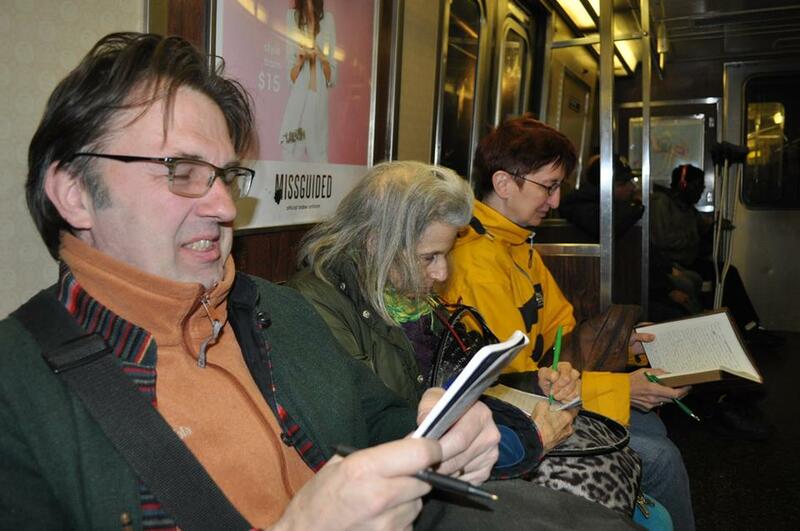 On Saturday, April 9, 2016, the New York City Writing Project hosted its spring Writing Marathon, Take the A-Train. 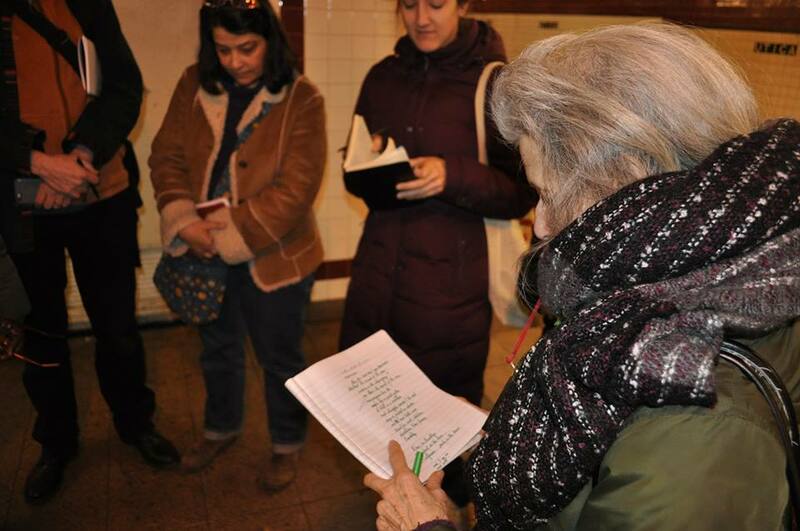 This 31-mile subway ride gave participants the opportunity to observe, write, talk and share for the entirety of the historic A train’s route. 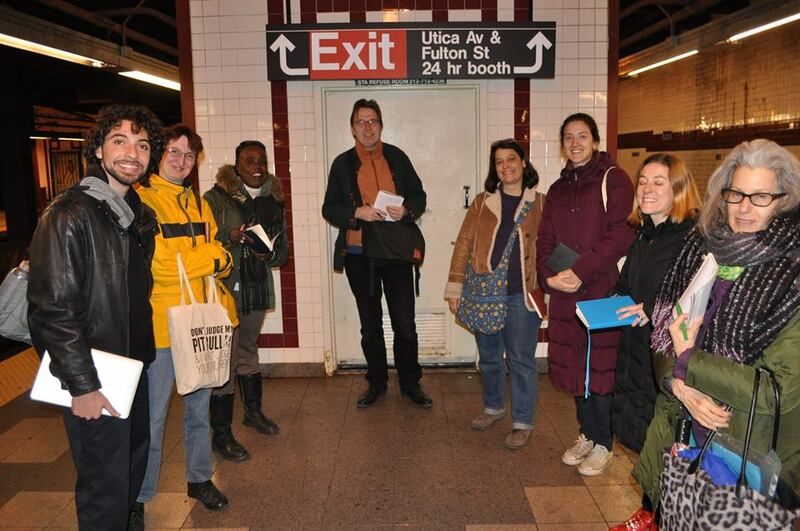 Participants traveled from Inwood/207th Street all the way to Rockaway Beach/116th Street. 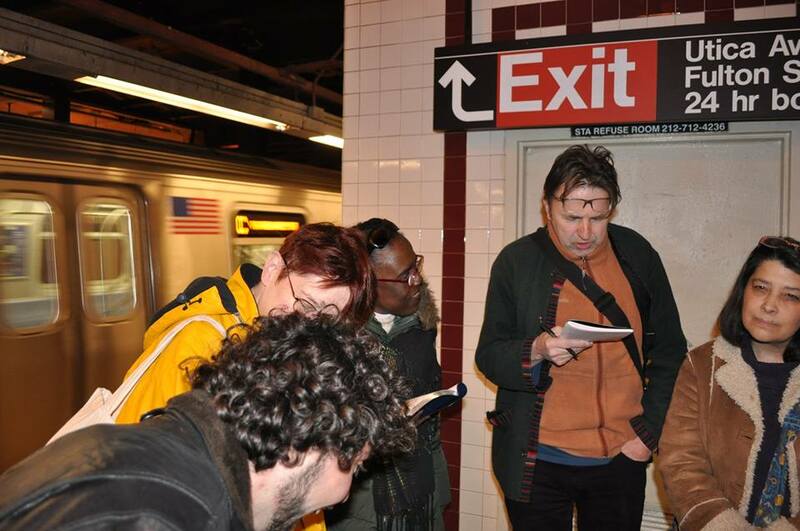 About fifteen writers participated. Check out some photos from the day in the slider below! 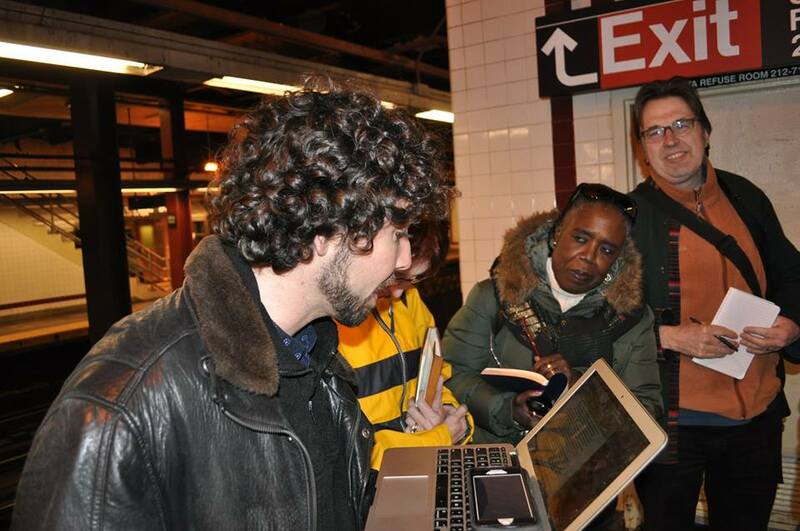 Participant Mindy Levokove was kind enough to share two recordings from the event with us. Thank you for sharing, Mindy! In the first, you can hear a subway announcement in the background at around one minute in, and the closing doors chime at about two minutes. In the second clip, you will hear a short improv that Mindy recorded during the event. 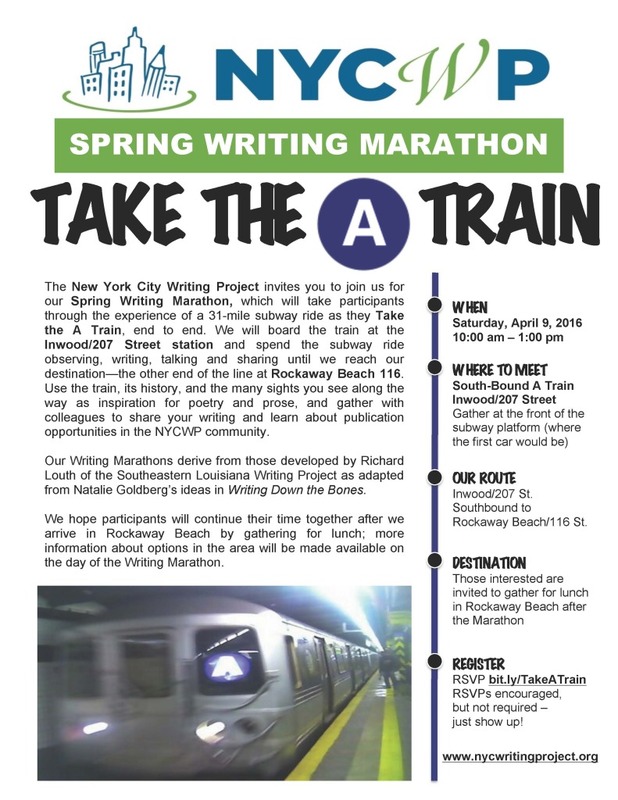 If you participated in this writing marathon (or even if you didn’t!) 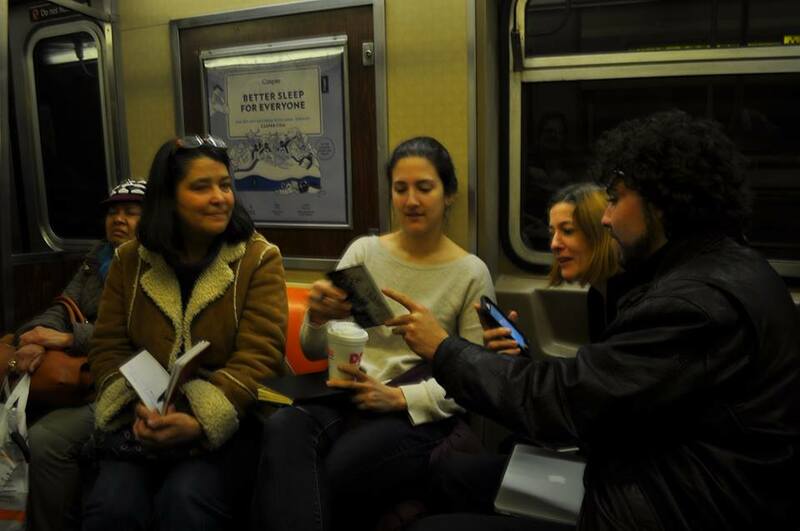 and you have work you would like to submit to NYCWP Voices, the NYCWP Literary Magazine that celebrates the teacher-as-writer, please email it to voices@nycwritingproject.org. Our next writing marathon is tentatively scheduled for June. Stay tuned!